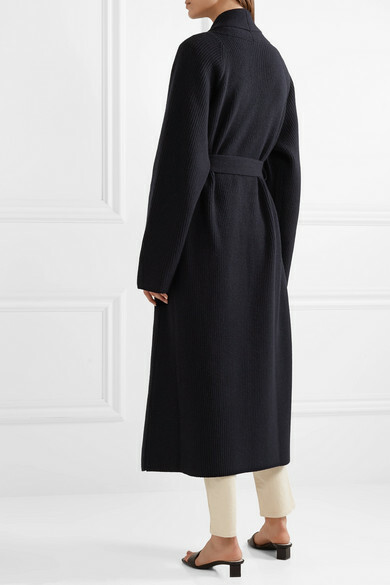 The Row's 'Tappi' cardigan is perfect for layering over a T-shirt and jeans on chilly fall or spring days. 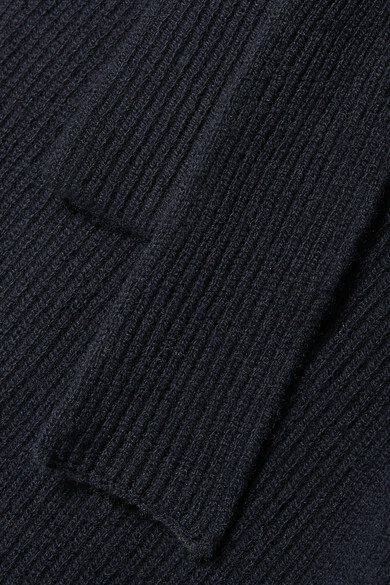 Knitted from weighty cashmere, it's cut for a relaxed fit and has a ribbed finish and detachable self-tie belt so you can wear it open or cinched at the waist. 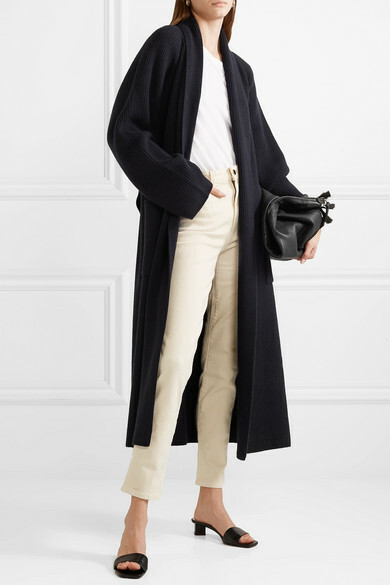 Shown here with: Victoria, Victoria Beckham T-shirt, Khaite Jeans, The Row Shoulder bag, The Row Sandals, Leigh Miller Earrings.